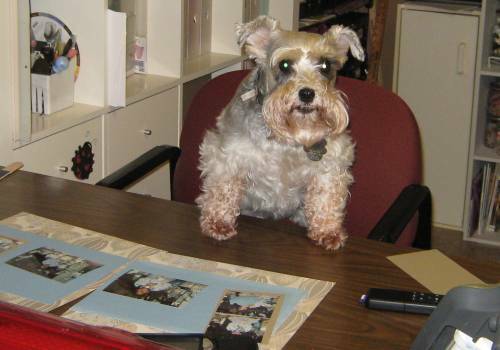 I was on the phone with my friend Carol with two hearts this afternoon and she was helping me figure out how to load CD's from the PCHugware collections. I had the October 2008 CD in and saw the Diva Va Voom set and said "OMG! I LOVE THE FAT LADIES!" and I knew I had to make a card with one of them. 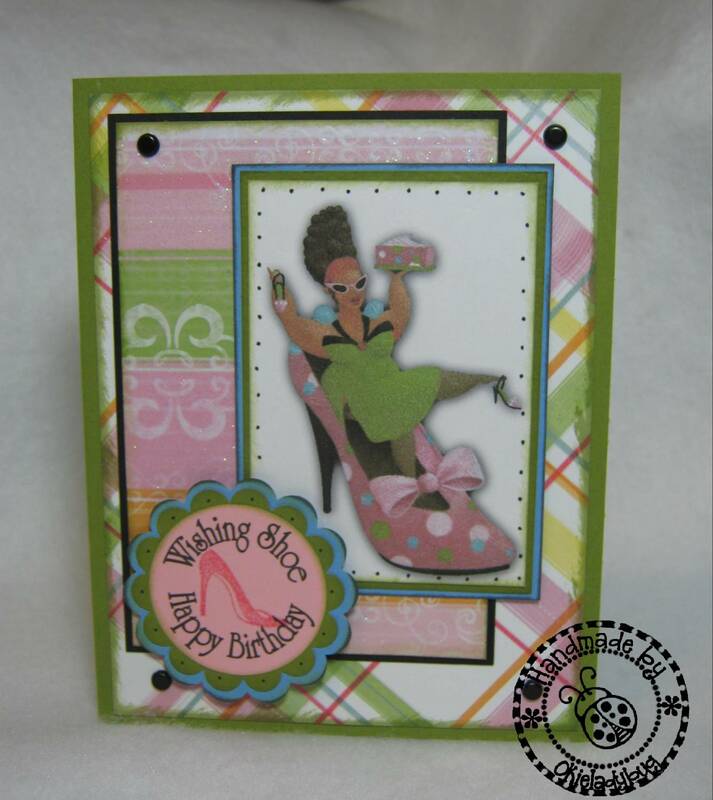 I choose the one with the shoe because I know so many women in my life that love shoes and I know I can use these birthday cards to send to them. I do have to confess that the image would have been better had I printed on the correct side of the carstock! *okie gives herself a V-8 smack on the head* I usually am good about checking to make sure I am printing on the smoother side, but this time I guess I was distracted *okie really needs to remember not to craft while on the phone but thinks this is a lesson she shall never learn since she loves the phone*. I used Microsoft Word to make the sentiment circle that would punch out correctly with a 1.5" circle punch. 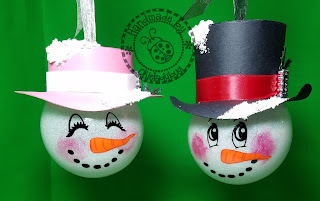 The green scallop is the Stampin Up scallop circle punch and the larger one is a 2" scallop circle punch by EK Success. There are some more of these luscious ladies in the collection so stay tuned for my next card!! The fat lady is too awesome!!!! I really need to check out the hugware stuff!!! Too darn cute! Wow, what alot of work but I love how easy it is to find "stuff" on your blog now! You've earned your angel wings! Amazing card Okie! Love the image! I love this card! It's adorable. I can't wait to see some more of your lucious lady creations. I also love Carol with two hearts. 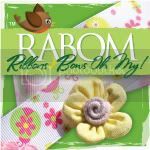 I've had the pleasure of attending a few crops with her recently and she taught us how to make freezer paper t shirts. What fun! Bahaahaha! That is hysterical and super adorable!!! OMG so cute! 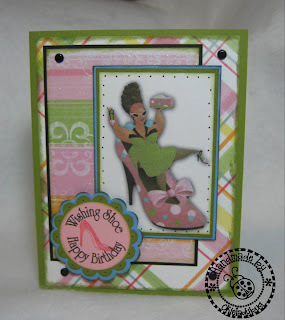 Love this card and the colors you used! TFS! 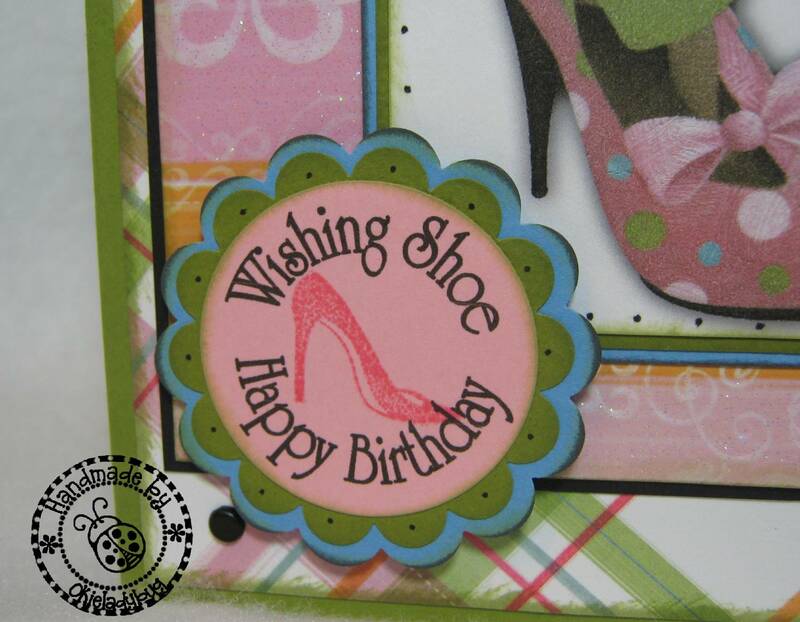 Fabulous card -- who doesn't love shoes???!!! OMGosh Okie, this is such a great card. I love the colors & the shoe & the lady. Cute, Cute, Cute! Wow this is wonderful! I have this beautiful shoe paper that I want to make a card with. You have inspired me. I do not have PCHugware but I will come up with something. I love the sentiment. I don't have Microsoft Word because I have an apple. I have to learn how to shape words. So much to learn and so little time. Love your stuff as usual! Could you give a brief lesson on how you do the circle sentiments in Word? Thanks for your blog, love it! "Wishing shoe a happy birthday" that is too cute.